located in the (WCU) Ramsey Center, 92 Catamount Drive, Cullowhee, N.C. 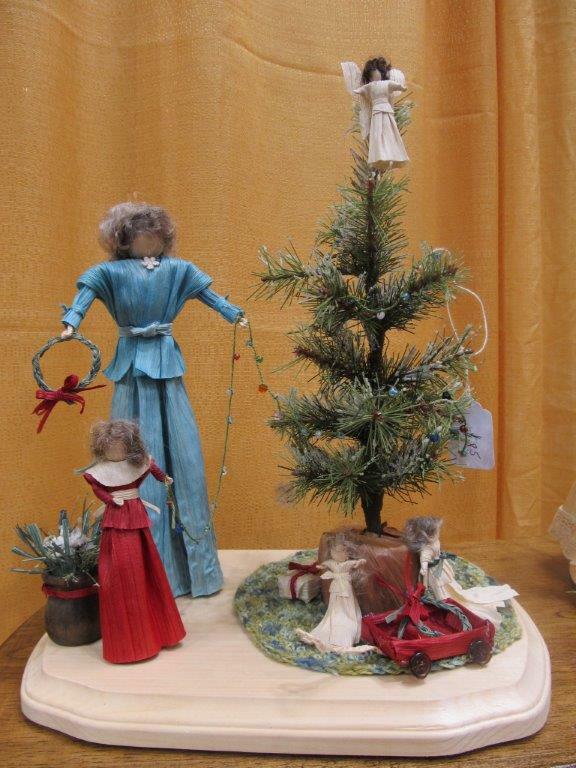 The Mountain Artisans Art & Craft Shows started in Macon County in 1987. Only 8 artisans exhibited at the first Christmas show in Franklin, NC. We never imagined that, down the road, we were headed to the wonderful Ramsey Center on the Western Carolina University campus in Cullowhee, North Carolina! It is a dream come true. As the years have flown by, more and more artisans wanted a good place to sell their hand work and joined us. So many of our small businesses have been sent overseas, but there are no imports here. The southern craftsman is alive and well in this area. Many of the heritage crafts are handed down from the older generation. 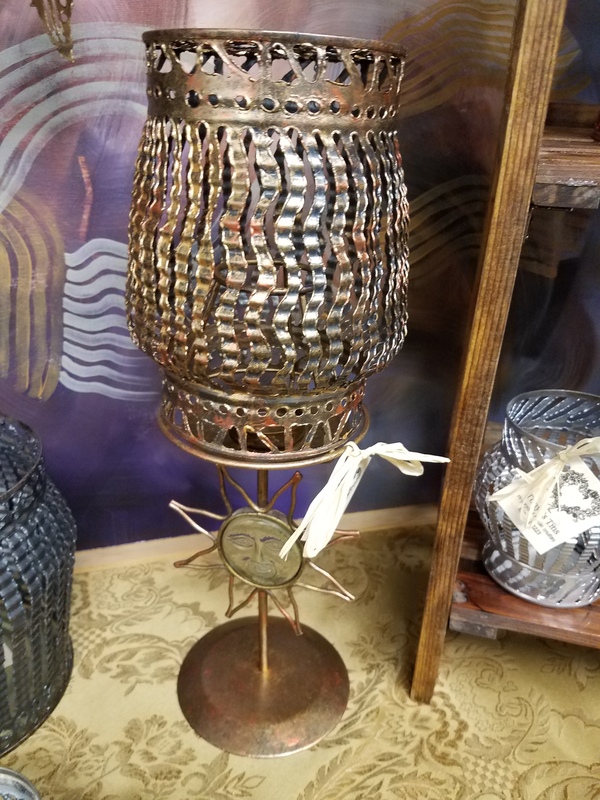 The quilting, blacksmithing, clay art, folk dolls, corn shuck flowers, and primitive furniture were inspired from past generations. You will find it all here. Mountain Artisans Art and Crafts Shows provide a marketplace for customers and artisans to meet. It is an amazing collection under one roof. You would have to visit dozens of shows to find what I have gathered at one place. Cullowhee, North Carolina is home to the Western Carolina University. On the campus is the Ramsey Center arena that boasts 18,000 square feet of climate controlled comfort for everyone. 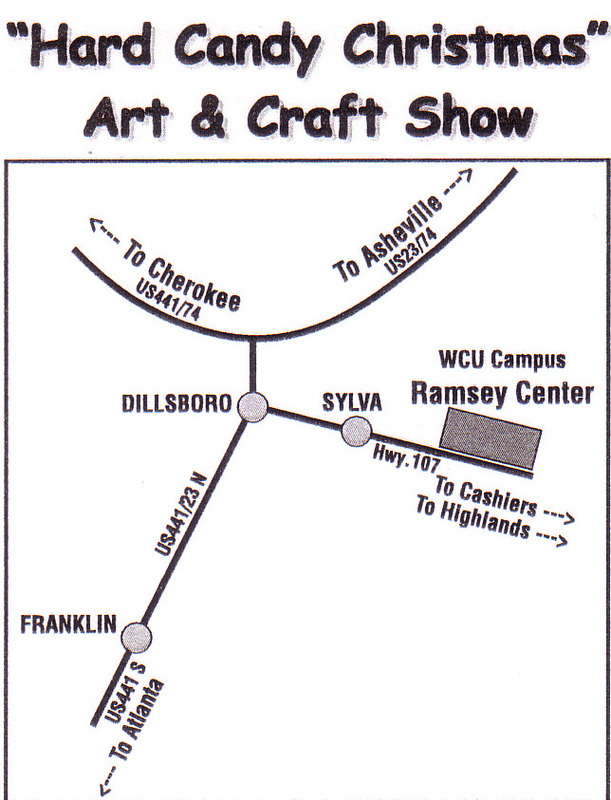 It is home to the Catamount's basketball games but two times each year, they move over for our craft shows. A great set up crew makes it all look easy for me. Quaint Cullowhee Valley nestles off Highway 107 that runs up to Cashiers, North Carolina from Sylva. It is a stop off the Southern Highroads Trail highway. All around are big, soft mountains. A foot bridge crosses the Cullowhee Creek to get to the show from the parking lot. It is peaceful to your soul just to be here. Click on the map to see how to get to Cullowhee NC from Asheville, Cherokee, and Atlanta. Woodcraftsman, Jerry Stanley NC Mountains Outdoor Furniture handcrafts Adirondack chairs, swings, birdhouses (for real birds) and more. He constructs all with Western Red Cedar, stainless steel nails and blue ribbon quality. Jan Kleinrath Jan's All things Canvas will be back with her Hats, Travel Purses and more. I expect Kathy Cirka Backwoods Bakery will be on the corner with her Organic Breads and more . Missed Stacy Redmon Red Rock Photo at Christmas ? He will be back for summer with his artistic eye photography . A.W. Ruff is the chief Blue Bird House maker . He is coming back with his mountain toys and cutting boards . Sue Malsnee is a favorite potter who has many area collectors. She will return for the "Summertime " show lOok for her with new exciting designs ! I hope Regenia Ford Mountain Memories painting on Antique Windows, barn wood, saws and Ornaments will be here . Neal Hearn Boxes by Neal will be inside the arena with his summertime collection of his unique boxes. 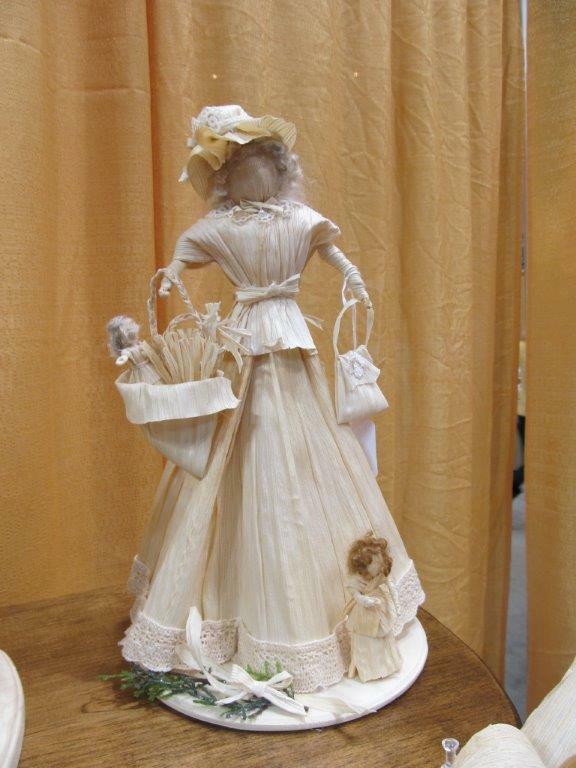 Dogwood Crafters will be back with samples from their Dillsboro shop. Featured Artist Tom Livingston's Piece by Piece Intarsia will have a gorgeous collection. Once upon a time I lived the hectic life of a mother with 3 children. My darling neighbor was 9 years old and visited me often to see what I was painting, drawing or inventing. She was impressed and wanted to be an artist when she grew up. Guess what ? She will be returning with her Christmas collection at this year's 2019 show ! Meet again Sandy De Niear of Franklin. I am so proud of her work. You will like it too. Good live music brings cheer! There will be live guitar music floating from the fingers of Macon County's Ronnie Evans. He will be selling his CD's to enjoy all year. He brings some of the music we grew up with. He will be signing copies of his new book 'Frankie -A Life Interrupted" . A true story about the unsolved death of his beautiful cousin in 1963. It happened right in my neighborhood in Franklin, NC. Has he disclosed the killer? Milton's Mugs Face Jugs and more at it's best! Look for him at Christmas again . Kim vonHedemann Critters by Kim are coming back for summer. Adorable lady bugs, cats and bears and more on big and small trinket boxes. You are going to collect these! Terrie Cook Delightful Dips and More is coming with Cheese Ball Mixes, Homemade dips and Rubs. Bill Reed Freedom Farms is coming back with his popular Goat Milk Soap and his personal grooming accessories. Laura Craig Shade Tree Farm soap maker, will have some new, delicious new flavors. Donna Grant /Kim Lusk 'Nothing Fancy " All Natural Body Care products, Soaps and herbal based good stuff. Vintage santas and let's see what else she has dreamed up for you. 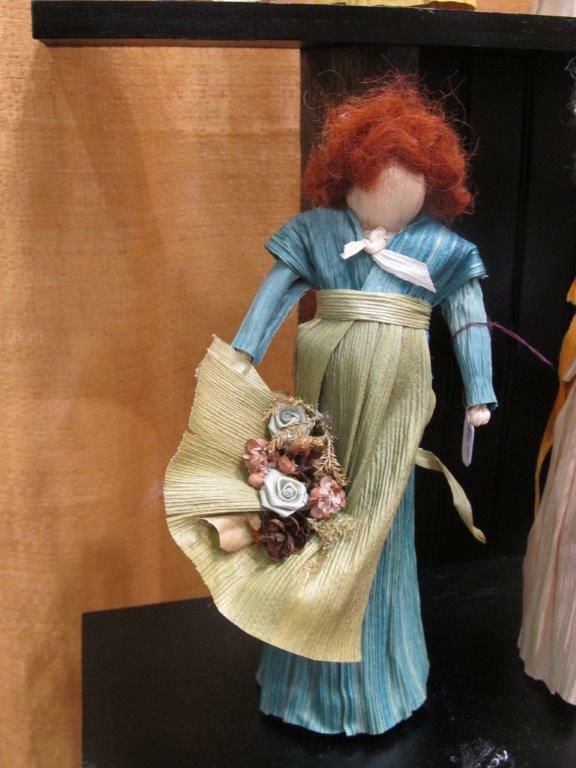 Heritage Folk Artist Elly Davey BirdinHand has been charming collectors for years with her tiny dolls with Hickory Nut heads ! She will be sitting out this show to recover from some health challenges. Meanwhile reach her at home at 828 293 9083 . Roberta Brown Roberts Pressed Flower Art has the flowers of summer drying for her framed pictures...Her garden has produced pansy, roses and daisy blooms for new dried Petal Paintings. 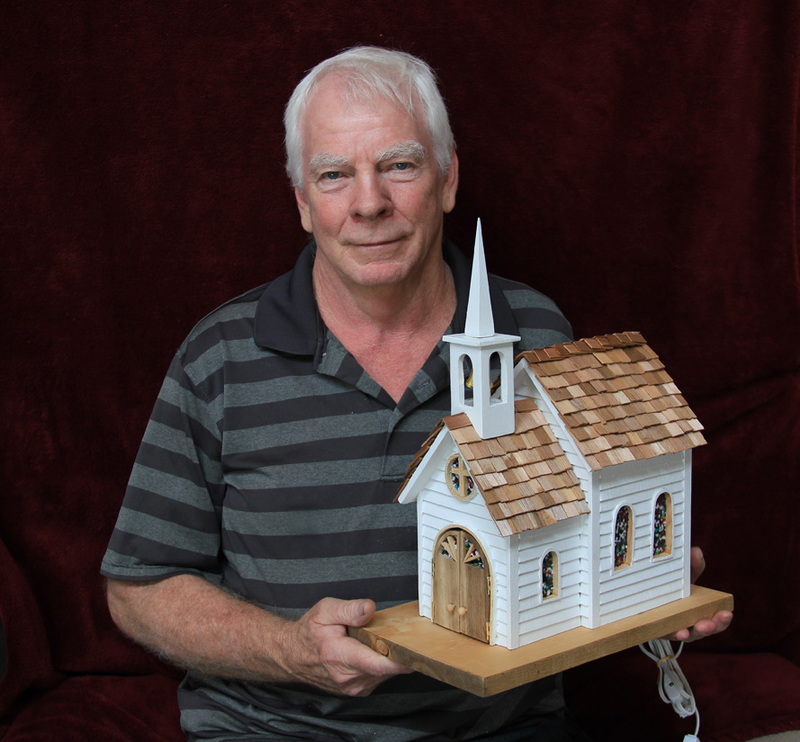 David Pruitt Another Place In Time is working on little white churches for his customers. Also, nativity Scenes. Wife, Silvia Pruitt will have her handwork. Suzanne Summers Original Suzanne Art delights your eye with her explosion of color. Tonya Vannoy is a craftwoman in TinArt . Look for Tonya's Tins on Facebook. Her Luminaries are special. 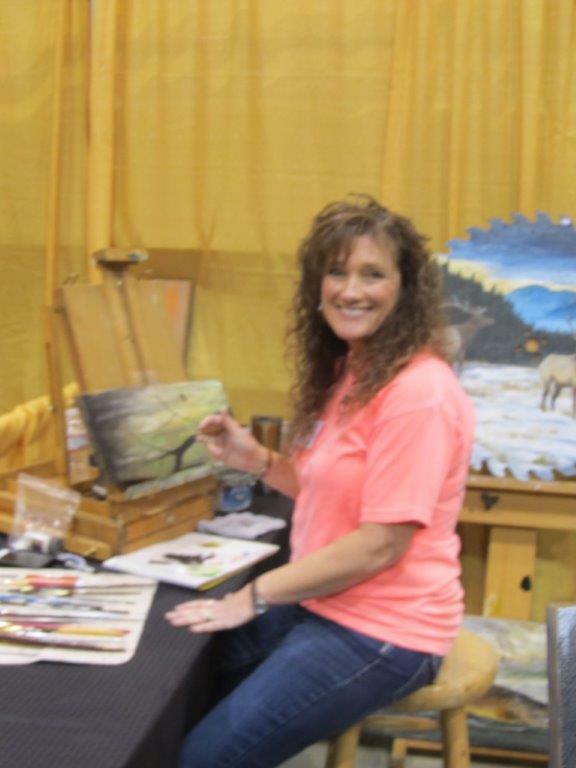 Renee Hockensmith Hockensmith Mountain Art has her summer collection of Alcohol Ink, Resin, and Polymer Art. Welcome Renee. Wendy Griffith hand paints art on wood and glass. She will be back with her summer collection of Animals, Birds and Flowers. belts for adults and children and hand tooled wallets. Leather craftsman, Tommy Hill only uses the finest leather for his customers. He will be back with his products . Bev Borchardt has a following who watches for her latest Quilted Wall Hanging ,Quilts and accessories. Linda Levy is coming to this year's show with her Quilted Hangings, Baby Quilts and more. 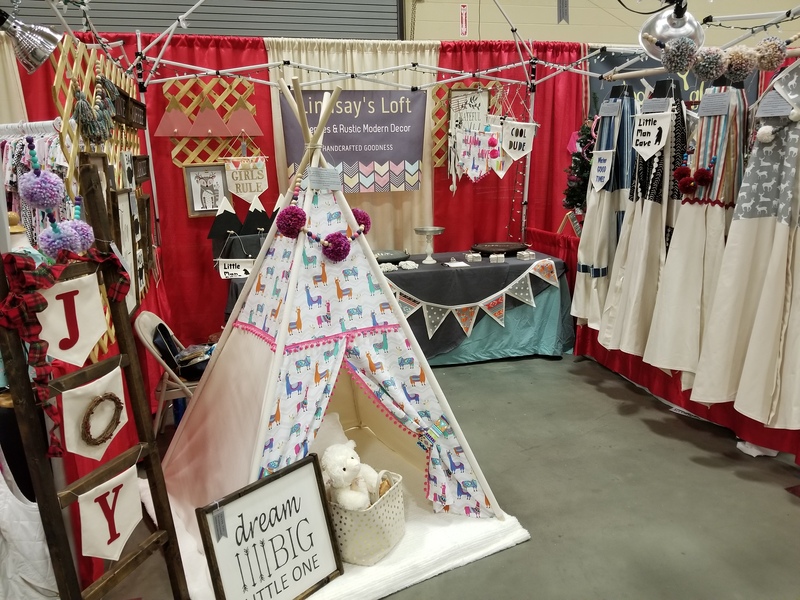 Look for Debbie and Larry Bennett Out of the Drawer Quilts, who specializes in neck purses, to be at the Christmas show . Knot Just Country Nina M Hutchins is a fine seamstress duo who will bring baby items, kitchen accessories, bears and dolls. Sharon Wilson and Becky Reszke Country Cousins have been quilting Quilts, Table Runners, Aprons and more . I have admired their work and hoped someday they would exhibit with us . Finally they can fit us in their schedule . Welcome ladies to Cullowhee! Leah Scroggin Dogwood Pet Wear will delight pet owners with garments and leashes for your four legged friends. Also neat embroidered towels. I am hoping Brenda Fuqua Lindsay'sLoft is coming back for summer.! The Grandchildren will love this play area at Grammy's house. Stay tuned as I hear from her . Ken Rudd sells his Tables, Potato Boxes and Trash Cans as fast as he can get them up here. Hardly any woodcrafter makes solid wood products, anymore. Rickie and Benita Lemons2ndTimeAround believes wood ought to have another chance to shine! He has cheese boards, cutting boards tables and more. Jerry and Nancy WilliamsonJW Wooden Boxes and Gifts are new this year with inlaid wood boxes that are one of a kind ! Nancy has nimble fingers to make Aprons, Kitchen Accessories and fun Stuffed Animals . Nathan Robbins is a recycle craftsman who will bring small tables, small furniture and chopping boards . Carl Winter Winterlathwoodworkinghas moved to Macon County from Main to escape the snow ! He is a master turner using American hard woods for his masterpieces. Welcome, Carl . 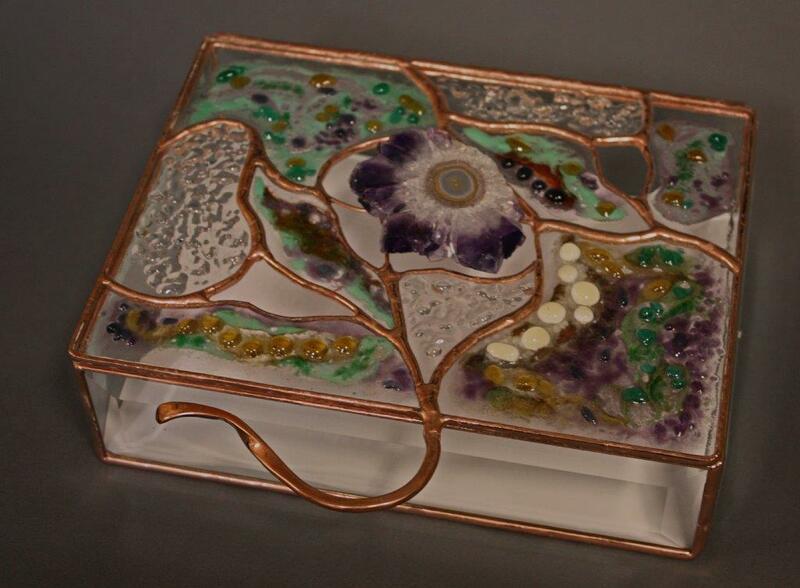 Nanci Leigh is returning with her copper pounded gemstone designs . Angel Hudgins Hudgins Designs is coming with Hand Stamped Jewelry in cool designs. Jacolyn Campbell, Master Wire Wrapper .She will have chain maille styles, also. Billy and Lavada Anderson BornAgainJewelry creations from vintage silverware. New this year is Karen Vick My Favorite Things . She creates Oxidized Brass jewelry with natural stones. Look for her on Etsy . Janet Anderson Wild Fired Glass is a yearly favorite with her dichoric Fused jewelry and art . Stay Tuned as this show fills for 2019 !